I learnt this recipe from my mother-in-law, she used to prepare this very well. Since no water is used while preparing and this being a dry dish can be kept for two days. Pluck the methi leaves wash them strain water and keep aside for 15 to 30 min(do not use stem it gives bitter taste). So that no water remains in leaves then chop them and keep aside. Heat oil in kadai add mustard seeds when it splutter add hing powder, chilly powder and salt. 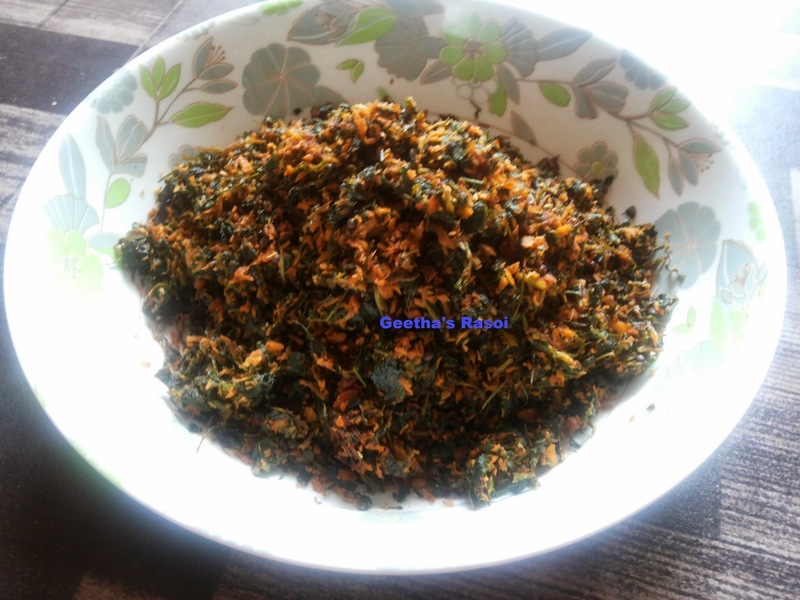 Then add chopped methi leaves and grated coconut mix well. Close the lid and cook in low flame till it dry.